The Afourer has both great flavour and easily separated segments. 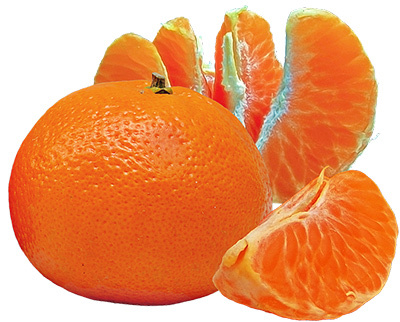 Externally the fruit responds well to thinning and the colouring is an attractive red-orange. The shape of the fruit is slightly asymmetric appearance. Trees are vigorous and have a relatively upright growth habit. Trees tend to overcrop and need to be thinned to produce optimum fruit sizes and to avoid severe alternate bearing. Fruit should be clipped from the tree.